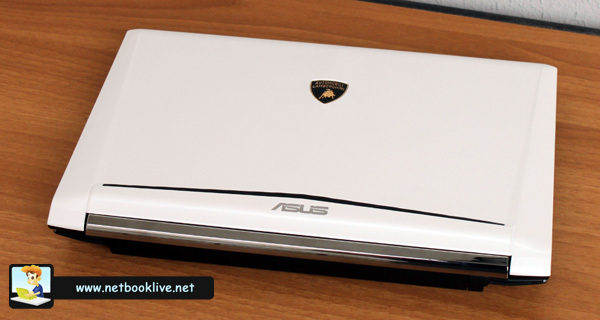 Like I’ve told you a couple of days ago, I have the Asus Lamborghini VX6 on my desk right now. 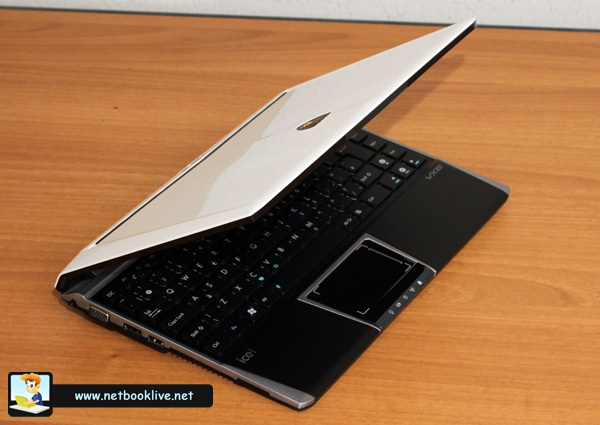 This is mainly a dressed up version of the Asus 1215N I’ve tested a couple of weeks ago, so I did not plan to give it a more thorough review. However, since there aren’t many ION equipped devices available on the market right now and since I’ve also seen a test of this device in India, and it claimed it lacks Optimus (which is untrue), I’ve decided to give it a spin though. Take notice that this is a final release version, identical to the one that will be available in stores, although it boosts more memory and a bigger hard-drive. The version you’re going to have in stores will only come with 2 GB of memory. On this one, because of the limitations imposed by D525 and the 32 bit OS, only 2.74 GB out of those 4 installed are usable. So, in terms of hardware specs, the VX6 is identical to the Asus 1215N, but it comes with those USB 3.0 ports and those speakers developed with the guys at Bang&Olufsen. 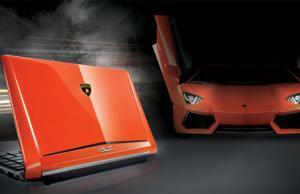 The Lamborghini series from Asus includes their top laptops, with focus on features, but mainly on aesthetics. The 1215N isn’t dressed in aluminum, but in plastic. However, it’s a high quality plastic, especially on the matte areas around the keyboard and palm rest, which feel incredibly solid and won’t catch smudges. Lid cover is glossy though, but it’s OK on the white finish I have here, plus it has the Lamborghini logo on it. The Black version on the other hand will be more sensible to smudges. In fact, the entire design is aggressive and also impressive, like a true Lamborghini should be. And that attention to details, it really makes all the difference (for instance the line on the lid that resembles the front grill from the car, or that VX6 logo on the frame of the screen). See the clip below for more details. Also, you might be interested to see ports arrangement in the pictures below from the sides and bottom of this device. The keyboard on this Asus is the same Chiclet Full-Size one we’ve seen on other Asus machines. There is a little bit of flex, especially in the middle, but it ain’t that bad (and less than on other Asus machines, as the upper part is more solid). However, on this particular version I tested, SPACE key malfunctioned and you had to press it stronger than you should in order to work, especially if you didn’t press it on its middle. I’m pretty sure though this is a problem for this version only and not for all of them. Trackpad is designed to fit the line of the entire device, being wider on top and narrower on its bottom. 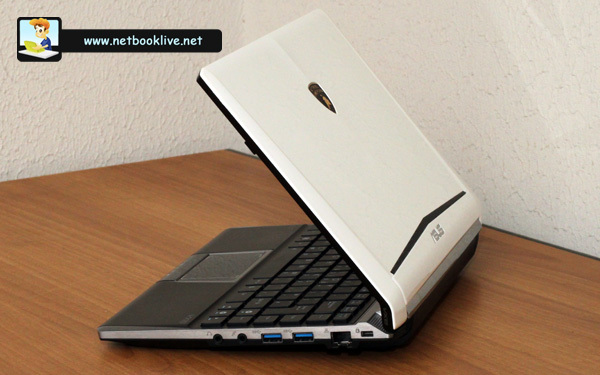 It is glossy and that bothered me first, but it actually works very nice and is one of the best so far tested on Asus netbooks. And the click button, although with no independent right/left parts and integrated with the palm rest and status LEDs, is very good and easy to use, unlike the one on the 1215N which was just awful. Not much to say about it. 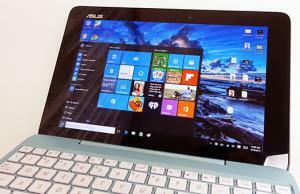 Standard HD 12.1 inch display from Asus, with decent brightness and viewing angles (although I’ve seen better). And it’s glossy of course, like on most Asus mini laptops. I haven’t tried so many tests and especially not so many games on this Asus VX6 as I’ve tried on the 1215N. However, I did run a couple of benchmarks, and you can see the results below. Also, there’s a clip about performance levels further below. 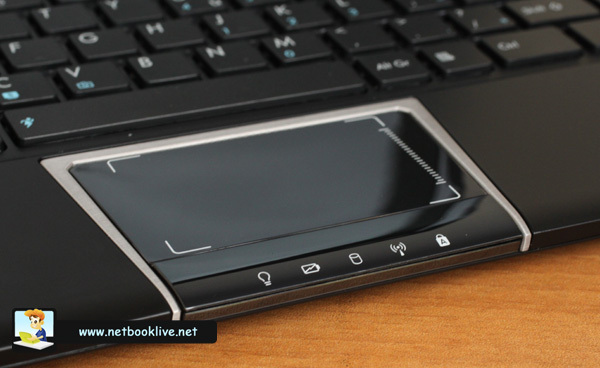 First, Windows rating score was 3.2, which is 0.1 under the one on the 1215N. Can’t say exactly why though, I’ve tried running the test a couple of different times and I still got the same result. Then, on CineBench PRO 11.5 it scored 0.55 points on CPU test and 6.13 fps on Open GL test. Unfortunately I don’t have other results to compare them with these, as this is the first time I use this test on any of the laptop Ive’ tested. Still, it is quite a popular test, so might be helpful. 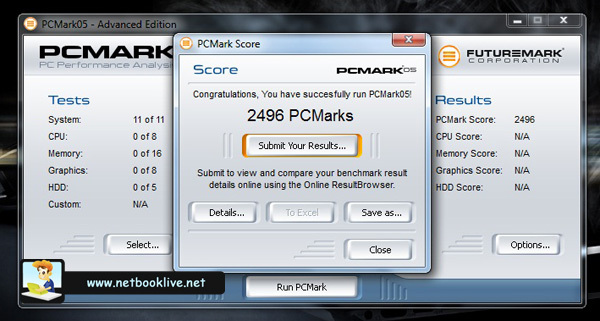 Also, here are results from PCMark 05, PCMark Vantage and 3Dmark 06 . All tests are on default resolution set with the programs. 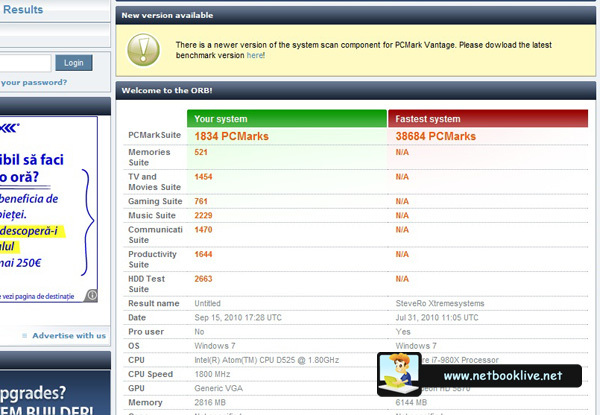 And here’s how these scores look when compared to the ones I got on the Asus 1215N. So slightly more points for the VX6, but I believe that because I ran Decrapifier and got rid of most bloatware that came preinstalled. 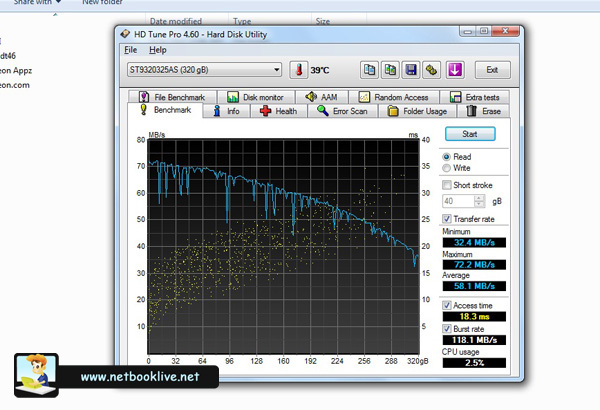 Plus here’s how the HDD inside performs in the default read benchmark (a 320 GB Seagate, 5400 rpm). One thing is for sure: this does bring Optimus and performs pretty much the same as that 1215N did. And here’s the clip. Take a look for details about playing HD clips and some games (tried Call of Duty: Modern Warfare 2). You get the 5200 mAh 56 wH battery inside the VX6, the same as on the Asus 1215N. 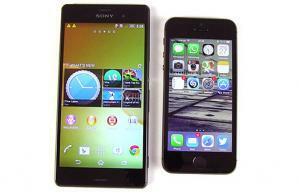 Plus, the same hardware, with ION and Optimus, so you would expect similar battery life. Well, you’re wrong. Can’t say for sure why, but the VX6 offers 20-30% less autonomy on a single charge than the 1215N. My bet is that the USB 3.0 and speakers are power hungry but still, 30% is a lot to loose on those. So, battery life is decent, but there are better options on the market. 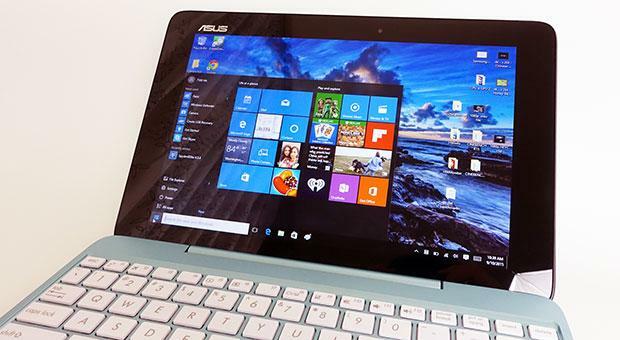 Not much to say here either, you get the standard software package Asus loads on all their new devices. Most of it is crapware (although you get useful stuff also, like SHE) so I advice getting Decrapifier installed (a nice Free software great for removing bloatware) and clean all the stuff you won’t need. That’s what i did. 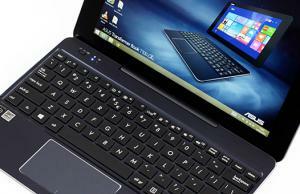 And I’ll actually have a different post about Decrapifier and how you can use it on a brand new EEE PC from Asus, soon. You do get those speakers from Bang&Olufsen on the VX6. Now, don’t expect them to be extra-ordinary, but they do perform way better than the speakers you’ll find on most 10 to 12 inch devices. Asus machines usually have good speakers, these are just superior, both in terms of volume and quality. The VX6 is particularly quiet. Fan almost never kicks off (except when gaming or playing HD content) and all you’ll hear is HDD’s cracking and squeaking. It does get worm on its bottom left side, where the CPU is, but that big cooling vent there helps keeping temperatures low, so I believe there’s enough room to overclock it without having heat problems. I do have to mention that you get USB 3.0 ports on this one. They might not be very useful right now, as there aren’t many compatible USB 3.0 devices that can use the extra speed they provide, but in a couple of months, they should become more useful. Plus, I like that they can faster charge gadgets (those able to charge by USB) and you can also charge those when the computer is turned off, as the USB 3.0 ports can be active while the computer is not (that’s something USB 2.0 ports couldn’t offer). I could also mention the webcam, card-reader and standard ports and connectors on the VX6, but that’s nothing special about them. Like I’ve said in the clips, the Asus VX6 Lamborghini is available in the States for $699, in White or in Black. Update: Amazon.com actually has it in stock for only $649, with Free Shipping included. In Europe it will go for around 599 Euro. This is however 200 bucks more expensive than the 1215N, which basically brings the same specs (except from USB 3.0 and speakers). However, the VX6 is way better looking and way better in terms of build quality. Plus, you get to have an extravagant mini laptops and not something you’ll see on every corner. So, is the Asus VX6 Lamborghini worth the fuss? Well, that’s for you to decide. I can say that it is fast for a mini laptop and looks great. Pricing is high, but that’s the case with all limited editions and branded devices, like this one. Too bad It doesn’t come in yellow though, I would really dig that color option. Let’s also take a look at the Pros and Cons. Now, what do you guys think. Is the fancy design and Lamborghini logo on the hood worth the extra $200 over the 1215N? 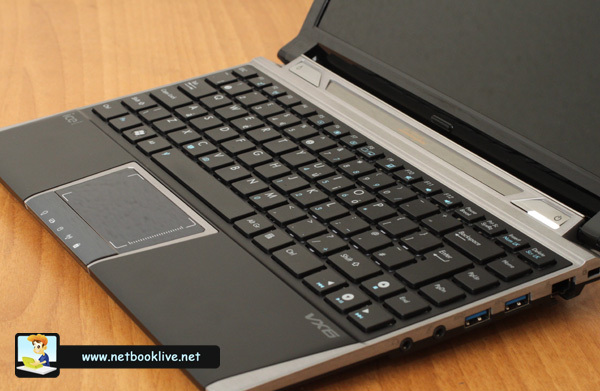 Bear in mind that you also get a more solid body, extra features and the improved trackpad . However, at 700 bucks, there are a lot of more powerful options in the 13 inch class.